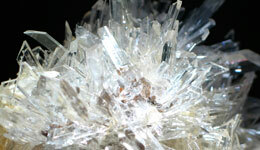 TOR Minerals is committed to the stringent Quality Control of its products and has established laboratories at each of its global plant sites. Worldwide product distribution and service is ensured through dedicated regional Sales, Customer Service and Logistics. TOR Minerals is a well connected international corporation in which every employee is important, every provider is well treated and every client is unique. For these reasons, we have built strong, efficient and long lasting relationships with our stakeholders.